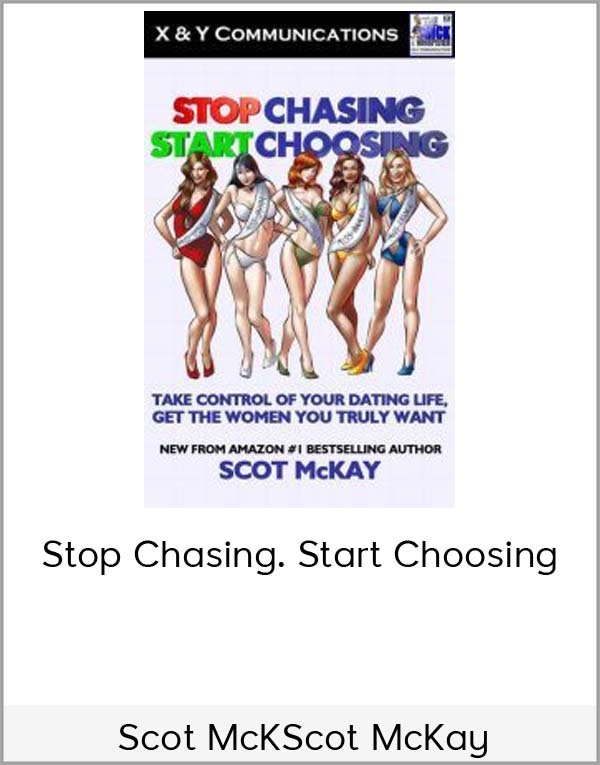 Get Scot McKay – Stop Chasing. 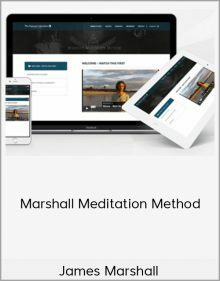 Start Choosing on senselearn.com right now! Have you somehow been led to believe that women hold ALL the power when it comes to male/female relationships? It’s true that the hottest ones are approached dozens of times per day by eager men who want to be with them. It’s as if a desirable woman can casually CHOOSE from all of those guys who CHASE after her, most of whom are desperately clamoring for just one chance. There’s no doubt who’s got the upper hand there. But what if I told you that wielding that kind of power in the dating world is NOT necessarily gender-specific? What few men EVER figure out is that they can–and SHOULD–have the power position when meeting women, and yes…even when building relationships with them. Yes, YOU can be the chooser instead…and that’s actually how women WANT it. Think about it…have you noticed that NONE of those needy guys who CHASE after women ever end up with the hottest ones? Every high quality woman wants a man who is in her league. And by definition THAT means he also is a CHOOSER rather than a chaser, able to SELECT her from many women available to him. The problem is that the vast majority of “average Joes” lack OPTIONS. But when a man DOES find himself with the ability to choose, that’s when he begins to have true power over his dating life. Become THAT guy, and years of stress and frustration will suddenly transform into a non-stop adventure featuring a steady stream of women practically begging to be with YOU. 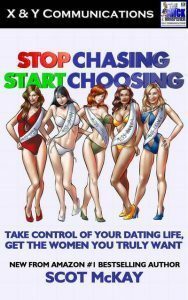 To be clear, Stop Chasing, Start Choosing is NOT another book on how to pick up chicks. Rather, it’s a compilation of my very best work over the years (along with some brand new thoughts) on what it means to be a chooser, how such a man conducts his relationships with women, and yes…how to succeed at becoming one yourself. That means it’s not for everyone. 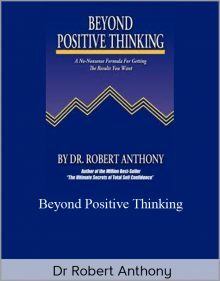 But if you truly want to regain your rightful power as a man with OPTIONS when it comes to women, then this will be the most important book you read this year. * Two types of women…will you end up with the RIGHT one? It’s all included in this fast-paced, entertaining guide to living every man’s dream. Stop Chasing, Start Choosing contains a wealth of objective steps and examples, plus answers to questions submitted by real guys. Take a “Look Inside” the cover graphic above and get a free report on how to make women feel safe and comfortable in your presence. That’s yours right now, as my gift to you. And yes, I’ve once again included ten bonus audios. These feature over five hours of fluff-free content that will give you even greater insight. They’re all on a top-secret Web page that I’ve linked to at the end of the book.